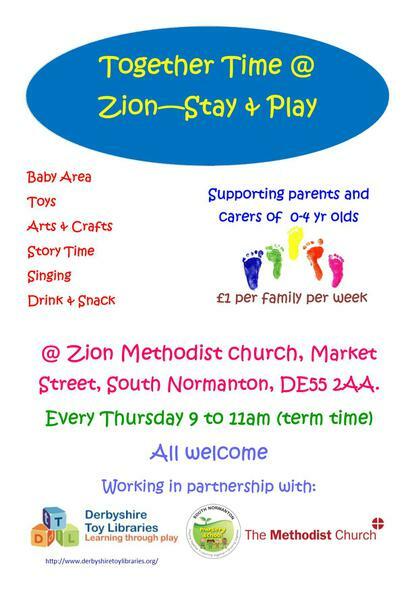 South Normanton Nursery School are so very excited about working in collaboration with Zion Methodist Church and Derbyshire Toy Libraries. This collaboration came about from a chat and catch up between myself as Head of South Normanton Nursery School and Deacon Samantha Taylor, Borders Mission Circuit from Zion Methodist Church. It quickly became apparent that the need for support for families in our community was common theme in our drive to improve outcomes for children in South Normanton and Pinxton. We have so much to offer between us, that i seemed silly not working together ....... and so 'Together Time @ Zion' was born. Samantha has worked hard with Derbyshire Toy Library service to gather resources along with some fantastic donations from families at our school and with the wonderful Vanessa, we have planned some exciting and inspiring opportunities for this new playgroup. We have come up with a code of conduct for visitors to our group to ensure that everyone is safe and comfortable. This can be found in the document links below. We will be having lots of guest visitors to come and play with us throughout the year ..... health visitors, local play group leaders to name a few! If you think you have something to offer, or know of someone who can help, let us know! Playing, communicating and interacting with your child is so very important and sets them up for life. 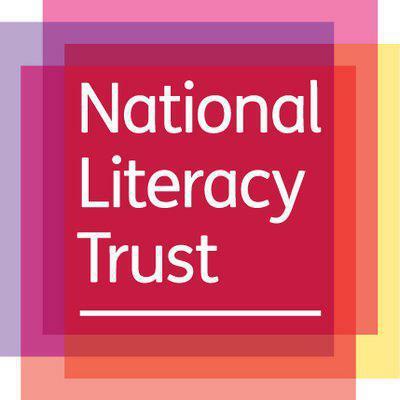 Click on the link below for 10 reasons why from the National Literacy Trust.